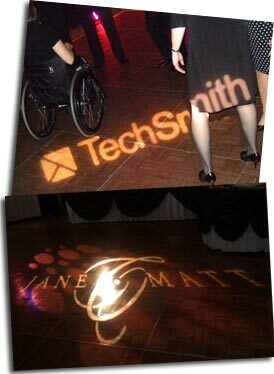 Custom Name Monogram lighting is a great addition to any event you are planning. All the design elements of your event can be pulled together using monogram lighting. A perfect backdrop can be created using a monogram design light creating a high impact focal point to all the decor, cake, and flowers. Company logos, artsy shapes, and initials are a few of the things that can be used at your event. One symbol that consists of two or more letters characters overlapping is a monogram. The initials of a company or individual are normally what the monograms are made of. The vast majority of personalized wedding monograms are made up of three letters. The initial of the first name to the left with the last name initial slightly larger in the center and the initial of the middle name of the right. An example, if the individual’s name is Elizabeth Amanda Smith, then the arrangement of letters would be thus: ESA, the E for Elizabeth to the left with the surname initial S set larger in the center, and the A for Amanda to the right. Couples sometimes use a monogram comprised of the two letters of their first name on things such as their wedding invitations. They may also choose to use a monogram with three letters; adding in the initial of their shared last name. An example, the monogram CSA might be used for Chris and Amy Smith. TheÂ monogramming etiquette varies based on what item it is being applied to. The woman’s first initial is used first on items such as linens. So for Chris and Amy Smith the monogram would be ASC. In terms of lighting your monogram can be whatever you choose. There are more options for your monogram light than such your initials though. For example, Chris and Amy Smith can have Amy & Chris as their monogram light. A design you already have can be used to create your monogram light, or we can help you create a custom monogram design. An illustration, paper copy, or computer graphic can be used to create a monogram light by using a digital vector illustration. Any font idea or picture can be used in creating your monogram. The monogram you choose will be used for your lighting of course but it can also be used throughout your wedding decor on items such as programs, cake toppers, and invitations. The location of your monogram light also can be decided on what works best for you and your venue. Your monogram can be used on your dance floor which is especially nice for your first dance. The light can remain off until your first dance and your guests will be wowed by how great you both look dancing in your monogram. Your monogram can also be placed to shine behind your head table. All the photos your guests and photographer take of you while your are in your seats will have an excellent backdrop. The monogram could also be shined upon your cake to bring your guests focus to it. The ceiling or walls can also benefit from having your monogram shining upon them. Everyone dreams of seeing their name in lights, with monogram lighting you can make this dream become a reality. I am interested in a monogram style light for my wedding I August.